Our Vista line of banquet chairs breathes prima moderno. Because we craft them with elegance, our Vista chairs are aesthetically pleasing, and they’re luxurious to sit on. All our banquet seating is designed with your guests in mind. Air Foam Technology provides unsurpassed comfort while offering you with a foam that will last for 15 years. 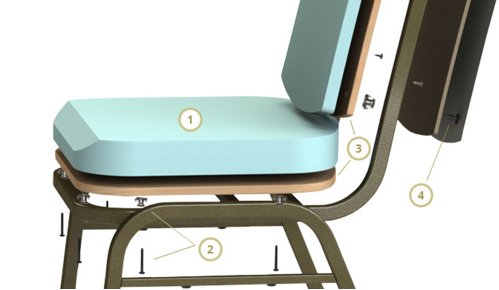 So what makes the ComforTek Vista line superior banquet chairs? And that’s not even including our various back designs and our wide fabric selection. If you need banquet chairs for your guest that look luxurious and feel heavenly, look no further than our Vista chairs. Contact us today for more details.